Looking at an empty spreadsheet without a lot of knowledge on how it works can be daunting, to say the least. All those cells, rows, and columns waiting for data... Now that the data's in there, what should you do next? Knowing the essentials of Excel can be a huge boon for your career. Mastering Excel, knowing it in and out, creating data-manipulating applications with functions and macros, and so much more, will make your career sore—and you can master Excel now with this 9-course, 288-lesson bundle for a mere $39. That's $1,027 off the going rate, or 96% off retail. Click here for a course sample video. This list of topics simply brushes the surface and doesn't even begin to cover what you'll learn to do with Microsoft Excel. 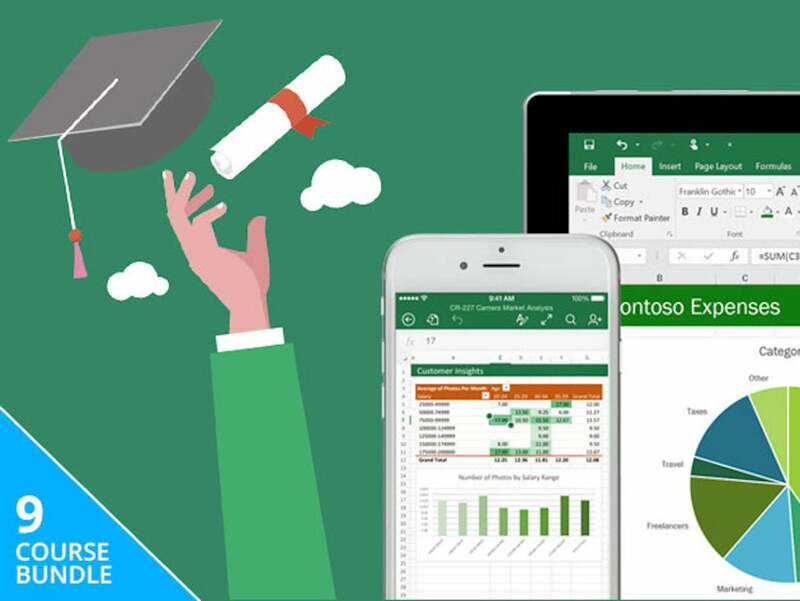 Don't miss this opportunity to excel at Excel...with the Microsoft Excel Master Certification Bundle.